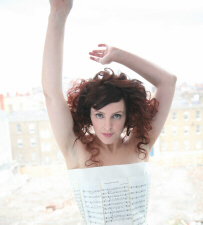 Multi-award-winning singer-composer Julie Feeney has performed sell-out shows across America, Ireland, England, France, Italy, Germany, Canada and Holland with her own ensemble and numerous orchestras. Her third album is due for release this autumn, and she is currently working on her first opera commission. Sharp witted, unpretentious and fiercely passionate, Julie's sound is unquestionably original, rooted in Classical music whilst comfortably straddling pop and theatre. As part of this innovative national project and tour, Julie will be scoring music for and working with ten different local choirs, each of which will part-accompany her at their local performance venue. The choir appearing with Julie for this very special performance at the Linenhall is St Joseph's Secondary School, Castlebar.